The HCG diet is a controversial and incredibly popular diet that more and more people are following. Imagine being able to lose 1 – 2 pounds every day and never feeling hungry. Many people, including medical doctors, have applied this diet to their lives; they claim that it dramatically made them lose weight fast. Losing up to 20, 40, and even 50 pounds are claimed by many. 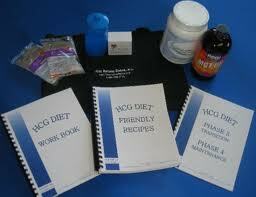 Presently, the HCG diet is the hottest and most sought after plan in the area of quick weight loss. HCG is approved by the FDA, but it is mostly for fertility purposes. This hormone does not interfere with any medications, including birth control. Both men and women can follow this diet. Products that contain HCG to help with fitness and weight loss are easily bought online or in retail stores. They come in either liquid drops that one puts under the tongue or they can be taken by injection. A prescription is necessary for injections. Originally, the HCG was administered only by shots into the leg muscle or stomach, but the most preferred method is by taking it orally. This diet was first developed back in the 1950s by A.T.W. Simeons, a British endocrinologist. He discovered that HCG or Human Chorionic Gonadotropin, a hormone that is produced in the placenta during pregnancy to ensure that the fetus gets necessary nutrients, can also promote fast weight loss. How does this happen? According to Simeons, HCG suppresses your appetite while simultaneously burning fat. 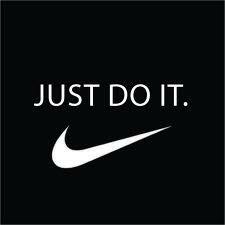 People state that they can follow the plan easier by having their appetites suppressed. Normally, the low caloric intake that is recommended by this diet would make one extremely hungry. This is the most radical and controversial part of the diet; the restriction to consume no more than 500 calories a day. 500 calories a day will definitely contribute to quick weight loss, but this is far less than the recommended 1,200 calories that nutritionists and doctors advocate. This is the reason why many question the diet’s safety. However, proponents of the HCG diet insist that one is not living on 500 calories a day, exclusively. 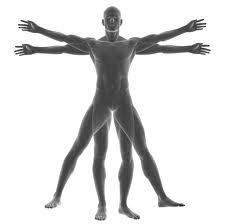 Rather, one is acquiring additional energy from the fat that is being burnt as well. 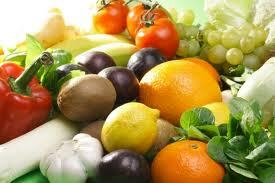 This will help one lose weight fast within the boundaries of healthy safeguards. Under the observation of a medical doctor, a typical program cost approximately $800. This includes a very thorough examination of the patient. Previous medical records are studied, extensive blood work is done, hormone levels and vitamins deficiencies are considered, and BMI is measured. These factors are extremely important as the patient’s progress is being tracked. There is also a prescription for daily injections or drops. The drops or injections are taken to prepare the body for the diet. This phase lasts approximately 30 days and this is when the 500 calorie diet is to be followed. Three HCG drops are to be taken three times a day under the tongue or injections are to be administered once a day first thing in the morning. This phase lasts approximately 3 days of weaning off of the HCG. The patient can consume about 1500 calories per day while avoiding sugars and starches. The final phase last approximately 3 weeks as sugars and starches are slowly brought back into the diet. Fast weight loss can be achieved if one follows the diet strictly. Patients have enjoyed losing up 20 to 50 pounds of body fat with this weight loss program. There has been much discussion about the HCG diet. It is a radical approach to losing weight. However, many people have received tremendous results and have stated that it changed their lives. 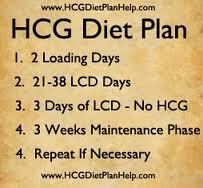 The HCG diet plan should be thoroughly considered by those who choose to follow it. Getting the right information, initially, will garner the most successful results. For a lot of people the HCG diet is the program to follow to get fantastic results. What are your thoughts on the HCG diet? 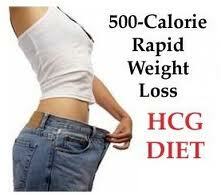 The HCG diet is a way to lose weight fast. It is controversial because of its radical nature, but it has been very effective for many people. Your expertise and input is very important! Do you have a great story or any thoughts about this diet? Share it here!